I have a new favorite. 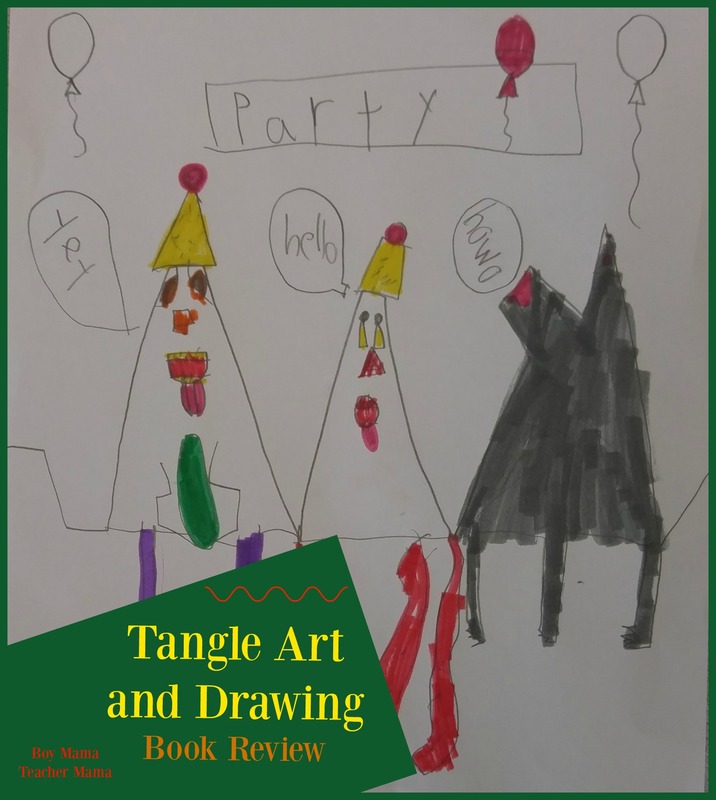 It is Tangle Art and Drawing Book: A Silly Book for Creative and Visual Thinking, by Jeanette Nyberg? Jeanette the brains behind the fabulous website Craftwhack and this book is fantastic! I was fortunate enough to receive a copy of this book from Jeanette a few months ago while I was at work. I immediately picked an activity and implemented it with my first graders. They were hooked! Since then, we have done several of the activities as a class and with our third grade buddies. My students love these activities and are always asking to do another. I like the activities because they are simple, easy to implement (really all you need is a pencil and paper) and they encourage students to take risks, be creative and practice their fine motor skills. Oh, and they are really fun and inspire great conversations among my students. This is the first activity from the book we did. The loops were tricky for a few of my first graders, but with some help from some friends, they did it! Student created some loops using their pencils and then made each loop into a fish. Another fun activity. 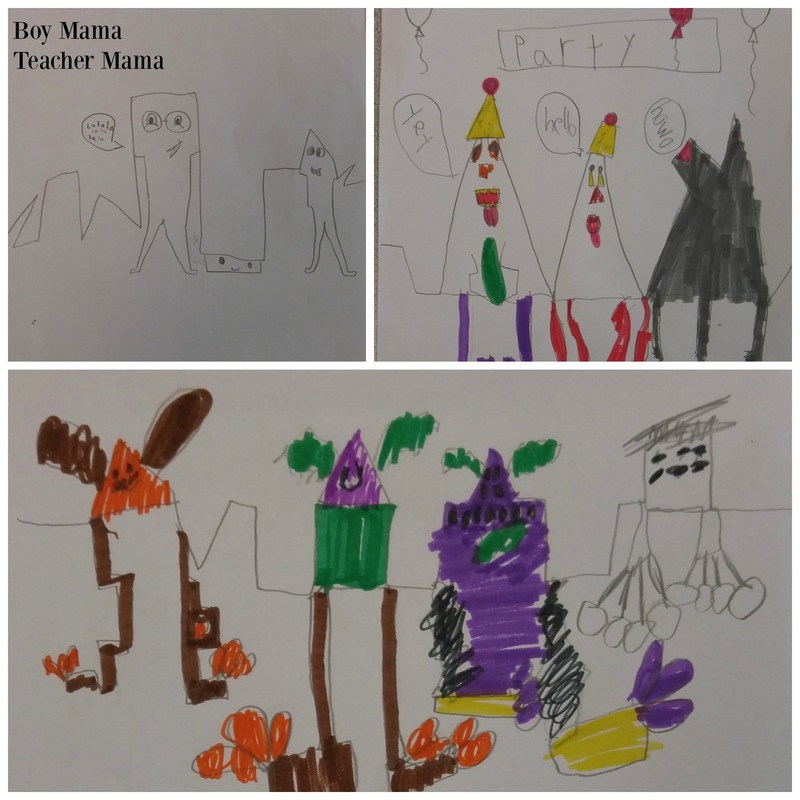 This time students drew a horizon line and then used that line to create some crazy creatures. The last one we did with our third grade buddies. 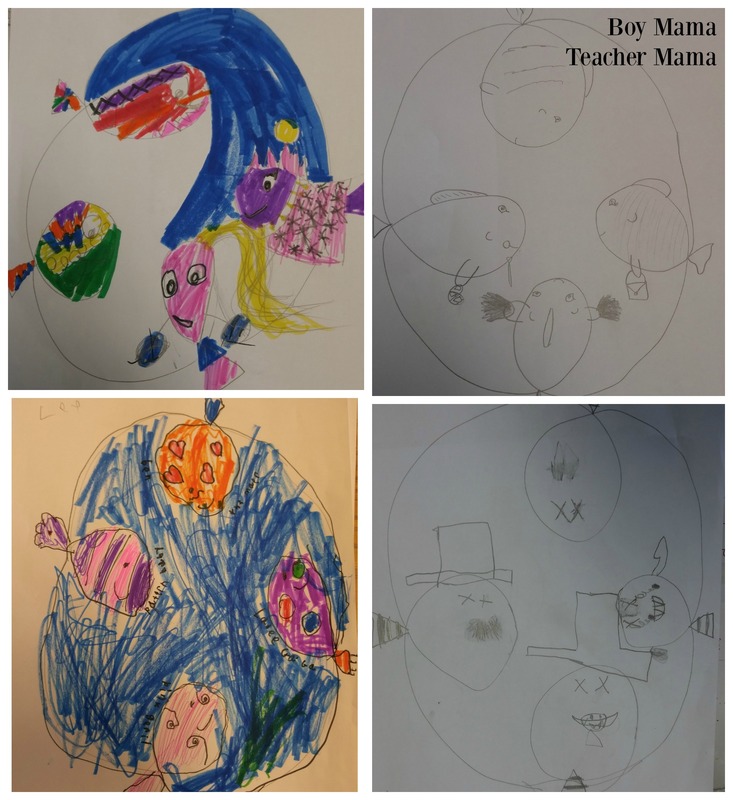 The students layered oval tops and then together created their own eggheads. I am looking forward to sharing more of these fantastic ideas with my students and plan to do them with my boys this summer.